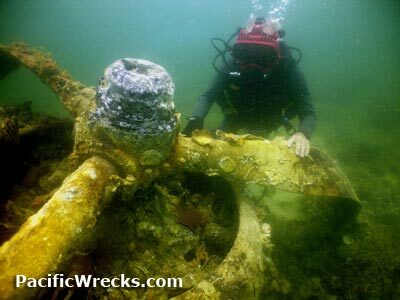 Cape York Aircraft Wreck Discovered, reported as B-17F "Pluto"
There are several upcoming events of interest to readers in the USA. I will be attending both, as well as many other contributors to this webiste. Guests include: JPAC representatives: General Flowers, Mr. Webb and speakers including: Scannon, Hagen, Walker, McLeod, Petty, Breaux, Doyle and Taylan. PacificWrecks will have a booth. Look for us with Ghost Wings / Valor Studios in the hanger. Join us for Pacific WWII talk all weekend - rain or shine! We are upgrading our email newsletter to a new mailing system. 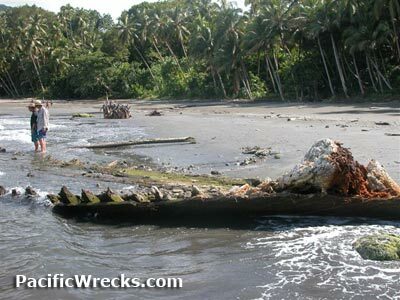 If you wish to keep receiving the free PacificWrecks news, then you will need to RE-SUBSCRIBE. After doing so, you will then be emailed a confirm email [view example], instructing you to click the enclosed link. This is notice 2 of 3 before this change. Don't miss any news! The US Military, Joint POW/MIA Accounting Command (JPAC) has been involved with a series of new MIA (Missing In Action) searches and identifications over the past months in the Pacific. 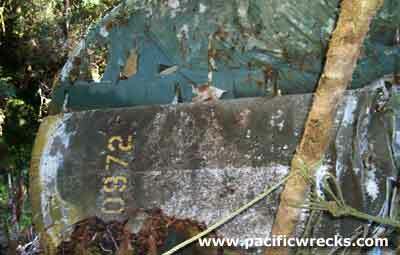 This bomber wreck, discovered by locals near Lae in 2002 was the subject of a 2004 recovery operation by JPAC. In July 2006, the military announced that the crew of nine were all identified, and returned to their families for burial. 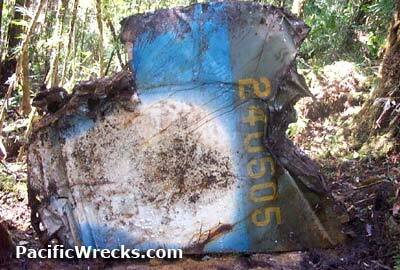 Crash site excavated in 2003 by CILHI, the remains of the crew were identified and returned to the family members. Between 11 December 2005 to 25 March 2006, representatives from Army Casualty traveled to the homes of representatives of the nine families to present the final identification report. Crash site of Ensign Harry Warnke that crashed on a training flight. 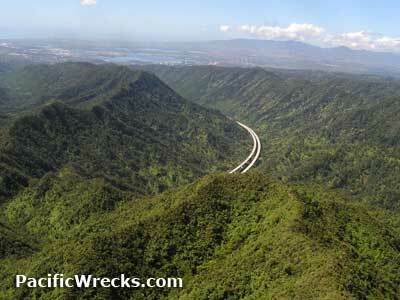 Spotted in the Ko'olau Range from the air in 1999, this crash site. A recovery of the remains of the pilot lost on a training flight are scheduled pending an environmental assessment. Lost on a mission to Rabaul. Remains recovered post war and a CILHI recovery in early 2001. In 2006, the remains of the entire crew were positively DNA identified and returned to families in October 2006. Historian John Innes reported the discovery of American remains on Ranonga Island. General Preston Douglas was a seaman on board the USS Helena which sunk off New Georgia Island in 1943. 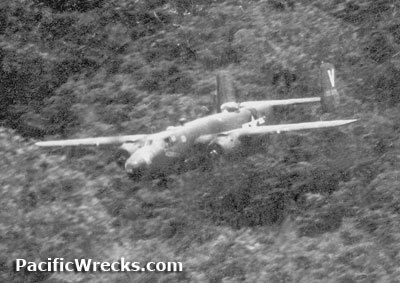 Diver Ben Cropp discovered the wreckage of an aircraft off Cape York. Reported as B-17F "Pluto" that crashed with General Ramey as a passenger, this wreck appears to be a C-47 variant instead. Review the news, photos and video and decide for yourself. After the tragic earthquake / tsunami of April 2nd in the Solomons. An AP news story reported how the ship wreck of a "PT Boat" was uplifted to the surface. The wreck instead as proved to be a Japanese barge, and no PT boats are know to be lost of the island. Review the news, photos and decide for yourself. Produced by Jennifer Powers and Dan O'Brien. 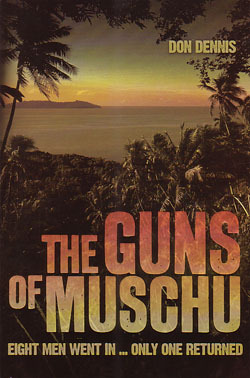 This DVD covers the history of several MIA aircraft lost over Palau and the efforts of Pat Scannon and his organization, BentProp.org. This is a CD-ROM contains 526 scanned photographs taken by S/Sgt Jack Heyn, a photographer with the 3rd Bomb Group, USAAF during WW2. Heyn's collection is a mix of formal and informal shots of people, places and things he experienced.